Here we go again! It’s another battle between the refreshed Brooklyn Bedding and popular Casper mattress. Will Brooklyn Bedding be able to compete with Casper in this week’s mattress battle? Continue reading below to find out if Brooklyn Bedding is powerful enough to take on the fierce competitor, Casper. 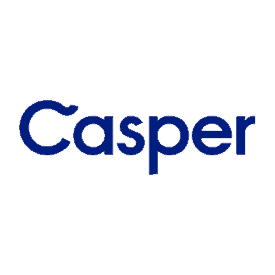 The cover of the Casper mattress is simple and has become somewhat of the standard design for many online mattress companies. There is a single piece of white fabric on top that runs from edge to edge. The top piece of the cover is stretchy and quite thin and has a soft texture. The materials used within the cover are from Belgium (border fabric) and the United States. Most covers are assembled in the United States, with some covers being assembled in Mexico. Coming in at a 6 out of 10 on the firmness scale (with 10 being the most firm) Casper is considered a medium firm mattress. Classified under the “universal comfort” mattress category, it is designed to meet the needs of most sleepers. Feel will vary depending upon body type / size. As a heavier sleeper, the Casper will feel more like a 7 out of 10 due to the increased sinkage thru much of the comfort foam. The more you sink, the more closely you are in contact with the more dense, harder foam layers. 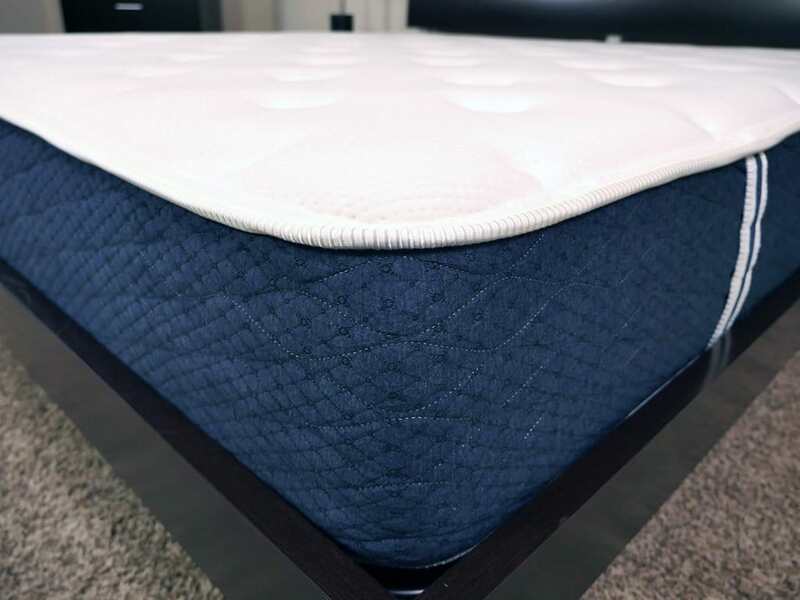 Sleepers over 200 pounds will want to consider their firmness / feel preferences closely to ensure you get the proper support and comfort dynamic that your body needs. Casper provides a fairly pronounced hug around your body. 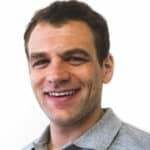 At 140 pounds, I saw about 1-1.5″ of sinkage while lying normally on my back. Unlike traditional memory foam, the Casper does not give the sleeper that trapped feeling that is usually associated with the memory foam mattresses. With a top layer of latex, the sleeper does sink a similar amount, but there is no exaggerated memory hug. Additionally, the latex provides great bounce and response. 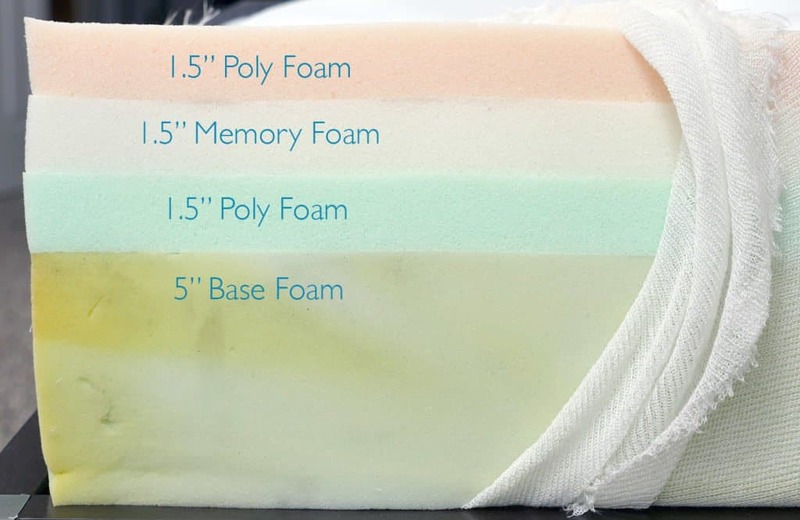 The Brooklyn Bedding mattress is a 10″ mattress constructed from 3 layers of foam. It’s designed to provide a balance of comfort and support through an advanced responsive poly foam, TitanFlex. TitanFlex foam delivers a latex-like feel, allowing Brooklyn Bedding to create great response, bounce, and cooling. Top layer (comfort) – this is a 2″ layer of TitanFlex foam. TitanFlex foam (a type of responsive poly foam) offers great comfort, bounce, and cooling. This layer has a density of 4.0 PCF (pounds per cubic foot). 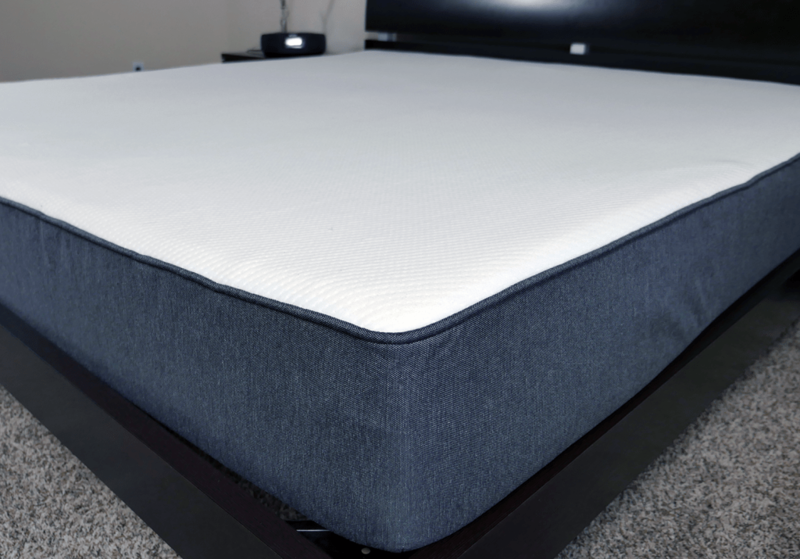 Middle layer (comfort + support) – this is a 2″ TitanFlex foam. Just like with the layer above, this layer has great comfort, bounce, and cooling. However, this layer is a bit firmer, providing higher levels of support and deep compression support. This layer has a density of 4.0 PCF. Bottom layer (support) – this is a 6″ layer of pocketed coils. It acts as a support and foundational foam for the mattress, while remaining breathable and giving the mattress shape. Built from a quilted cotton polyester blended fabric, the cover has a soft and enjoyable feel to it. Brooklyn Bedding quilted the cover with a thin layer of polyfoam (3/4″ thick) that adds a nice cushion and extra pressure relief. The cotton construction ensures it has great breathability and allows air to flow both in and out of the cover. Aesthetically, the cover has a nice look to it. 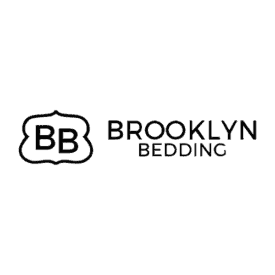 Instead of the typical 2-tone design, Brooklyn Bedding decided to insert their logo along the perimeter of the side panels. I personally like the different look of the Brooklyn Bedding mattress. It’s always nice to see mattresses that move away from the standard 2-tone or all white rectangle design. 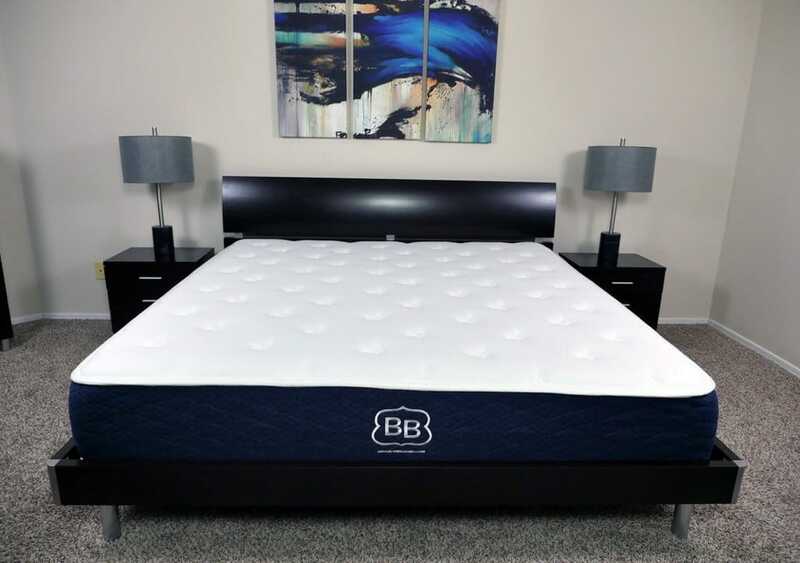 Offered in 3 different levels of firmness, the Brooklyn Bedding mattress ranges from 3.5-8.5 out of 10 on the firmness scale (with 10 being the most firm). During my tests, I slept on their medium level, which is a 6 out of 10 on the firmness scale. Their soft mattress is a 3.5 out of 10 and their firm is an 8.5 out of 10. FAQ – Which firmness level is right for me? The most notable attribute of the Brooklyn Bedding mattress is its bounce. 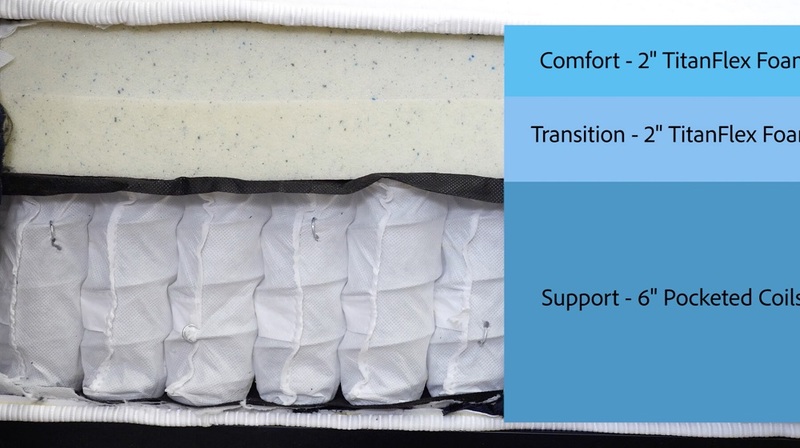 Since they use a 100% latex comfort layers they are able to create a bounce that most foam mattresses cannot compete with. The all latex comfort layer creates exceptional bounce and responsiveness. The added bounce makes amorous activities extremely enjoyable. The Brooklyn Bedding mattress sleeps extremely cool. Once again, the latex helps to improve the overall cooling and avoid unwanted hot spots. Latex, especially compared to many traditional or lower quality memory foams, is a much better performer with regards to minimizing heat retention. All in all, this mattress provides good body contour and hug as well. While testing the mattress, I slept on my side, stomach, and back. Each position felt as if I was getting more than enough support. In a normal lying position, at a weight of 140 pounds, I experienced about 1-1.5″ of sinkage. Read the full Brooklyn Bedding mattress review here.